Mississippi 2017 Miss Hospitality Emma Grace McGrew grew up participating in 4-H and caring for chickens and showing livestock. When Emma Grace McGrew became Mississippi’s 2017 Miss Hospitality, a year of exciting experiences awaited the former Prentiss County 4-H’er and self-proclaimed country girl. “I had never been in a pageant before, but I knew Miss Booneville got to read stories to kindergartners and cut the ribbon when a new business opened. I love my town and decided to compete,” McGrew explains. Mississippi Miss Hospitality 2018 explains how participating in Mississippi 4-H, the youth development program overseen by Extension, prepared her for future success. McGrew, just 18 at the time, was realistic about her prospects in the week-long competition. Young women ages 18–24 can compete, and most have extensive pageant experience. They do their own hair and makeup and endure several interviews with various judges, both in private and on stage. Contestants must invest in a wardrobe that includes a little black dress, a business suit, evening gowns, and more. 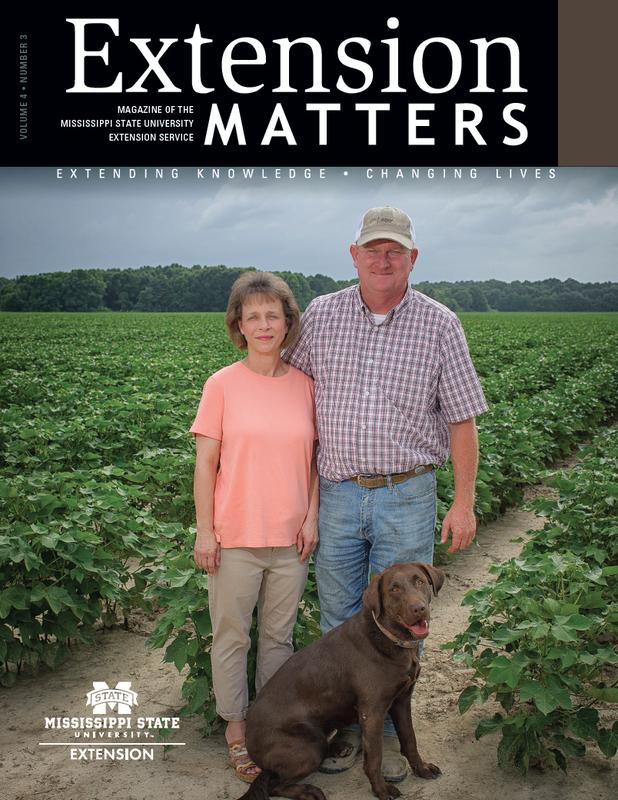 McGrew says Mississippi 4-H gave her a unique edge; she joined the Mississippi State University Extension Service’s youth development program at 8 years old. Emma Grace McGrew, a former 4-H’er in Prentiss County, served as Mississippi’s 2017 Miss Hospitality. Going through the interview process for 4-H leadership positions taught McGrew confidence, which also led to her success in the pageant. MSU Extension agent Skip Glidewell began his work in Prentiss County about the same time McGrew started her 4-H career. Over the years, Glidewell watched her grow into someone who sees the big picture and learns from the process of competing. When news of her Miss Hospitality victory reached the Extension office, everyone was abuzz. Although she has aged out of 4-H, she continues to help with meetings and serves on the advisory council. McGrew had few expectations for her year-long role as Miss Hospitality, so the pleasant surprises quickly added up. She addressed the state Senate and met with Gov. Phil Bryant. Former 4-H’er Emma Grace McGrew, 2017 Mississippi Miss Hospitality, stands next to her supportive, proud mother. While traveling around the state as Miss Hospitality, McGrew learned a lot about Mississippi and herself—all while taking 18 hours with three labs at Northeast Mississippi Community College. “Now that I’ve become a person that people know, I have more respect for people who aren’t as known,” she says. “I’ve grown in my capacity to love and understand people by being around so many people and hearing their different stories. McGrew crowned a new Miss Hospitality in July 2018 and married Wyatt Olsen in the fall. She is pursuing a degree in speech and language pathology at Mississippi University for Women.